Professor David E. Weinstein is a prominent scholar on international economics. He is widely known as an expert on the Japanese economy. On June 1, 2018 Professor Weinstein began his second term as Executive Director of the Program for Economic Research (PER). He also serves as Director of the Center on Japanese Economy and Business (CJEB), the preeminent U.S. academic center focused on promoting knowledge of Japanese business systems in domestic, East Asia, and international contexts. 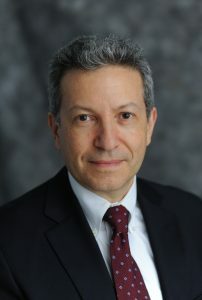 As Executive Director of PER, his priority is to support top quality research projects, and outreach activities that advance frontier research at Columbia. Professor Weinstein is an internationally renowned researcher. He has held professorships at the University of Michigan and Harvard University. His research and teaching focus on international economics, macroeconomics, corporate finance, the Japanese economy, and industrial policy. His research utilizes big databases on various aspects of the US and Japanese economies. He has served as senior economist at the Federal Reserve Bank of New York, and a consultant for the Federal Reserve Bank of San Francisco and the Federal Reserve Bank of Governors. He served on the Council of Economic Advisors from 1989 to 1990. He is the author of numerous publications and articles and has published three books including Prices, Poverty and Inequality, Japan’s Bubble, Deflation, and Long-Term Stagnation, and Reviving Japan’s Economy: Problems and Prescriptions, the latter co-edited with Takatoshi Ito and Hugh T. Patrick. His more than 50 journal articles have had significant impact in his field and have led him to be one of the country’s highly cited economists. His research has been written up in The New York Times, The Wall Street Journal, The Financial Times, among other outlets. Professor Weinstein maintains a strong policy interest, serving on the Federal Economic Statistics Advisory Committee and having briefed top Japanese government officials on economic policy. Currently he serves as Research Director of the Japan Project at the National Bureau of Economic Research (NBER), and holds a membership on the Council on Foreign relations. He was Chair of the Department of Economics, 2012-2015, and Executive Director of PER, 2009-2012. Weinstein graduated from Yale University in 1985 with a bachelor’s degree in economics, and completed a master’s degree and a Ph.D. in economics at the University of Michigan. Bilingual in English and Japanese, he brings with him a broad international network in the most important global organizations. He is the recipient of many grants and award prizes, including five National Science Foundation grants, an Institute for New Economic Thinking grant, and a Google Research Award.